01/04/11 -- Soybeans: May 11 soybeans closed at USD13.93 3/4, down 16 1/2 cents; Nov 11 soybeans closed at USD13.89 1/4, down 5 3/4 cents; May 11 soybean meal closed at USD360.90, down USD9.80, May 11 soybean oil closed at 58.68, down 10 points. Beans gave up a portion of yesterday's gains and meal gave up almost all of them. On the week as a whole old crop beans were around 36c higher and new crop up 39c or so. The soy complex fell despite another strong performance from corn as the trade concentrated more on export business switching to South America rather than tight old crop supplies. Talk that China may be cancelling or at least deferring existing purchases added some negative sentiment. Corn: May 11 corn closed at USD7.36, up 42 3/4 cents; Dec 11 corn closed at USD6.37 1/2, up 12 1/4 cents. Nearby corn opened up the extended daily 45c limit and stayed there for most of the day before falling beans and wheat led to a bit of profit taking ahead of the weekend. Funds were said to have bought around 40,000 contracts on the day, extending their net long to around 350,000 lots. The old crop/new crop spread widened as traders balance the very tight 2010/11 stocks situation against the second highest plantings since the war for the 2011/12 marketing year. Old crop gained around 47c on the week, with new crop up around 28c. Wheat: May 11 CBOT wheat closed at USD7.59 1/2, down 3 3/4 cents; May 11 KCBT wheat closed at USD9.06 1/2, down 1 1/2 cents; May 11 MGEX wheat closed at USD9.22 1/2, down 1 1/4 cents. Nearby Chicago wheat gained around 26c on the week, with Kansas up 51c and MGEX up 41c. Wheat remains supported by spiralling corn, the poor state of the US HRW wheat crop on the southern Plains and potential delays to spring wheat plantings further north. Despite a slightly negative report for wheat from the USDA yesterday it seems unlikely that US wheat prices can fall much whilst corn levels are rising so rapidly. The front month corn/wheat spread tightened to 23 1/2c, a month ago it was 74 3/4c and four months ago at the end of 2010 it was 168 3/4c. 01/04/11 -- May London wheat closed GBP2.50/tonne lower at GBP199.50/tonne with new crop Nov down GBP0.05 to GBP167.50/tonne. May Paris wheat fell EUR0.25/tonne to EUR239.75/tonne whilst Nov was down EUR0.25/tonne to EUR212.75/tonne. On the week as a whole May London wheat was up GBP2.25/tonne whilst Nov rose GBP5.75/tonne. May Paris milling wheat climbed EUR3.00/tonne with Nov rising EUR5.75/tonne. US corn futures were limit up for the second session in a row, lending support to EU grains, following yesterday's bullish USDA data. Front month June Paris corn rose EUR4.25/tonne today, adding to yesterday's EUR7.75/tonne gains. In the UK, ADAS say that the exceptionally dry March and recent warmer weather places crop development ahead of last year. Around 40% of the spring barley is now in the ground nationally, with plantings 85-95% complete in the south, they say. Showers are expected over the weekend and early next week all across most of Europe, which should improve conditions in the UK, northern France and Germany. Copa-Cogeca peg the EU-27 wheat crop at 138 MMT, up 2.3% from 134.9 MMT last season. The UK will account for 15.8 MMT of that, a 6.3% increase, they say. Dutch analysts Hoofdproductschap Akkerbouw estimate the EU-27 wheat crop even higher at 140.62 MMT, placing UK production at 16.11 MMT, 8.6% up on 2010. EU-27 exports meanwhile continue unabated, with Brussels issuing soft wheat export licences for 480,000 MT in the past week, bringing the marketing year-to-date total to 15.4 MMT, up 15% on a year ago. Once again France picked up the lion's share accounting for 323.500 MT of the weekly total. Durum wheat exports are 136% up on year ago levels at 1.3 MMT and EU barley exports stand more than four times higher than in 2009/10 at 3.7 MMT. 01/04/11 -- Latest guide prices for EU rapemeal. 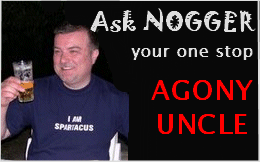 Q: Dear Uncle Nogger, I wonder if I can ask your advice as you are doing one hell of a job in your Uncle Nogger column. I have great difficulty getting up in the morning and as a consequence do not get into work until early afternoon. I have tried cockerels and alarm clocks to wake me up all to no avail. Can you suggest any ways which could help me please as I am worried that it may lead to other vices. A: You could try hooking up with MrsN#1, Andrew. The thought of her crawling all over you at seven in the morning is enough to have you pinging out of bed at 6.30am with no difficulty whatsoever. Think of Clarissa Dickson Wright in a shortcut chiffon peephole babydoll nightie after a very heavy might on brandy and babycham and you're halfway there. 31/03/11 -- Soybeans: May 11 soybeans closed at USD14.10 1/4, up 38 1/4 cents; Nov 11 soybeans closed at USD13.95, up 31 1/2 cents; May 11 soybean meal closed at USD370.70, up USD10.20; May 11 soybean oil closed at 58.78, up 146 points. The bean acreage number of 76.6 million from the USDA was bullish versus trade projections, yet beans closed well off early intra-day highs. Weekly export sales were quite poor at 144,800 MT old crop and 113,000 MT new crop. Old crop stocks are looking rather tight at 1.250 billion bushels as at March 1st. Corn: Corn was limit up on everything with May 11 closing at USD6.93 1/4, up 30 cents, and Dec 11 at USD6.25 1/4, up 30 cents. The quarterly stocks number surprised the trade at 6.52 billion bushels, lower than the lowest trade estimate. Weekly export sales were also huge at 2.23 MMT, although that should have been factored in based on recent announcements from the USDA. Spring plantings though were higher than anticipated at 92.2 million, up 4 million on last year. Wheat: May 11 CBOT wheat closed at USD7.63 1/4, up 36 cents; May 11 KCBT wheat closed at USD9.08, up 46 cents; May 11 MGEX wheat closed at USD9.23 3/4, up 37 3/4 cents. There was nothing particularly bullish in today's USDA numbers. All wheat plantings were seen a little higher than expected at 58 million acres. Stocks were also a little higher than expected at 1.424 billion bushels and weekly export sales were on the low side at 409,500 MT. Even so corn hype dragged wheat higher. 31/03/11 -- EU grains closed with May London wheat up GBP3.00/tonne to GBP202.00/tonne and with new crop Nov climbing GBP5.05 to GBP167.55/tonne. May Paris wheat rose EUR3.50/tonne to EUR240.00/tonne and Nov was up EUR6.50/tonne to EUR213.00/tonne. A bullishly construed set of data early afternoon from the USDA was the catalyst after futures had been mostly lower in the morning. There are some concerns over dryness in some parts of Europe, and worries that winterkill may have caused damage in parts of Germany and Poland, but today was all about the USDA numbers. The data for old crop corn was undeniably bullish, with March 1st stocks pegged beneath even the lowest trade estimate at 6.52 billion bushels (165.6 MMT), and weekly export sales coming in at 2.23 MMT - a marketing-year high. CBOT corn opened limit up (+30c) and stayed there. At the close of the EU markets corn was synthetically worth a further 30c higher than that. However looking further forward, 2011 spring US corn plantings were pegged at 92.2 million acres, up 4 million on last year, above the average trade guess and close to the upper end of the range of trade estimates. Today's price action is only going to encourage further planting increases. With a significant doubt over the continuation of the ethanol blenders tax credit in the US being extended beyond the end of 2011, corn demand in 2012 at these levels is questionable. On the face of it the USDA's wheat data was actually bearish, with higher plantings and stocks than expected. Weekly export sales were also disappointing. Corn made sure that these factors were largely ignored, although legitimate weather concerns remain for US wheat on the Southern Plains. 31/03/11 -- The bulls have the upper hand again it would seem judging by the early reaction to this afternoon's eagerly awaited USDA numbers. Early calls from the floor are: corn up 20-30c, beans up 50-70c, wheat up 5-10c. Are things really that bullish? Spring plantings were pegged at 92.2 million, up 4 million on last year and close to the upper end of the range of trade estimates. March 1st stocks however were below even the lowest trade estimate at 6.52 billion bushels. Weekly export sales were huge ar 2.23 MMT, but then again we already knew of 1.5 MMT of that from last Friday so the figure isn't really that surprising. China were not confirmed as a buyer of any of that volume. Given the stock situation we should see the old crop premiums widen further over new crop this afternoon. Spring plantings are seen lower than the average trade guess, although not by too much, and some 800,000 below last year. Stocks are now also starting to get squeaky tight, so it may come as some relief to see export sales fall below expectations at just 257,800 MT, with China accounting for 181,300 MT of those. All wheat plantings are seen a little higher than expected and towards the upper range of trade estimates at 58 million acres. The question now is how many of those will get abandoned? Stocks were also a little higher than expected and weekly exports were lower than anticipated, making wheat the poor relation of the three. Now that that little lot is out of the way the trade will refocus on the weather. With wet and cold hampering early planting progress in the Midwest and dry conditions potentially harming HRW wheat in the Southern Plains. 31/03/11 -- USDA weekly export sales were robust as expected for corn following last week's sales to unknown of 1.25 MMT of old crop and 0.25 MMT of new crop. In the end old crop sales were 1,914,900 MT - a marketing-year high - with unknown accounting for 1,219,900 MT of that. Unknown was also the largest new crop buyer. There was no confirmation of business to China. Soybean sales were disappointing at 144,800 MT old crop and 113,000 MT new crop. Wheat sales were a little below expectations at a combined 409,500 MT. Dear Uncle Nogger, I want to leave the feed company where I have worked for the last 11 years and set up my own business doing something else. Have you any tips for someone who wants to do this and can I draw on your wealth of experience from someone who wants to be like you and just post a few blogs each day in return for copious amounts of dosh. Well, Mark I think you'll find that I've already got that angle covered. I do hear that there is a vacancy at Asda in Stamford for a "trolley relocation key colleague" which may be worthy of consideration. You get to work outdoors, which is handy if you smell a bit and dribble a lot like most of them do. You're also provided with a lovely high viz jacket, to keep the dribble off your nylon fleece, which women find totally irresistible I understand. 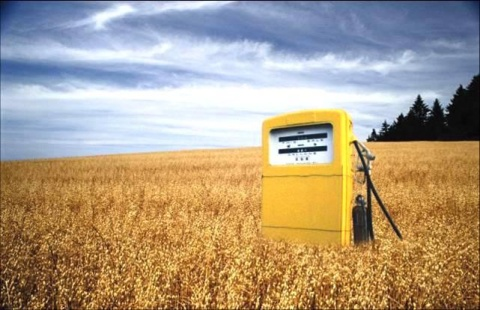 31/03/11 -- Just as the USDA seem set to announce the second largest US corn plantings since the war, there are suggestions that the existing 45c/gallon tax break enjoyed by US ethanol producers may not get extended at the end of 2011. This little ruse, set up as part of the 2004 Jobs Creation Act, cost US tax payers USD5.4 billion in 2010, according to this report Laughing all the way to the bank. The US ethanol industry trumpets that it directly employs more than 70,000 American citizens. Contentiously, they could remove the tax break entirely and pay each one of those employees a USD75,000/year salary to simply sit on their arses and still have change left over. Not much of a vote winner for Obama in the Midwest that idea though is it? Meanwhile, leading agricultural expert David Pimental of Cornell University says that 70 percent more energy is required to produce ethanol than the energy that actually is in it. 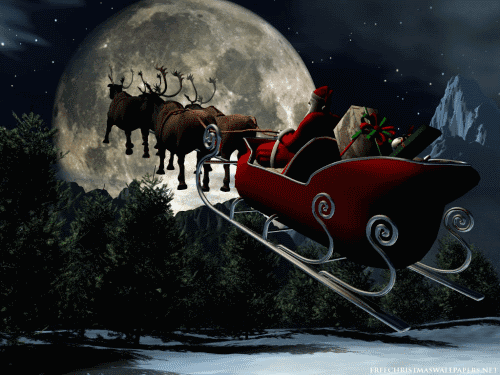 31/03/11 -- There's been more hype surrounding today's USDA figures than the arrival of Mr S Claus himself. The question is firstly, what has he got in his sack, and secondly how soon after he's been will we be bored with what we've got and yearning for something new? 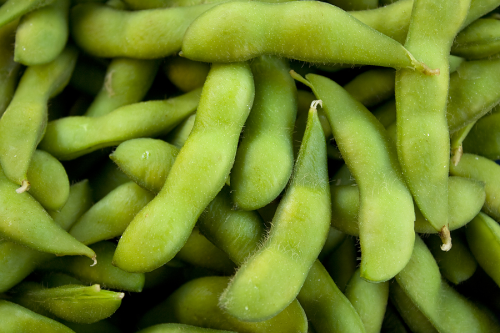 30/03/11 -- Soybeans: May 11 soybeans closed at USD13.72, up 10 1/2 cents; May 11 soybean meal closed at USD360.50, up USD1.90; May 11 soybean oil closed at 57.32, up 30 points. Beans closed higher ahead of tomorrow's USDA reports in anticipations of a lower spring acreage number than last year. Funds were net buyers of an estimated 4,000 contracts of beans today. Volume was relatively light. In addition to planting intentions and quarterly stocks, we also have weekly export sales out tomorrow, estimates for that range from 600 to 800 thousand MT. Corn: May 11 corn closed at USD6.63 1/4, down 8 1/2 cents; Dec 11 corn closed at USD5.95 1/4, down 5 cents. Funds sold an estimated 6,000 contracts ahead of tomorrow's USDA reports. There seems to be a widespread belief that corn stocks may come in higher than trade estimates of 6.688 billion bushels as of March 1st. Acreage is thought to be just under 92 million - the second largest since WW2. Weekly export sales estimates are high as they will include the 1.5 MMT sold to "unknown" reported last Friday. Wheat: May 11 CBOT wheat closed at USD7.27 1/4, down 10 cents; May 11 KCBT wheat closed at USD8.62, down 5 cents; May 11 MGEX wheat closed at USD8.86, down 2 1/4 cents. Tomorrow's reports are less likely to contain a wheat surprise than they are for corn or soybeans. March 1st stocks are thought to be around a more than ample 1.4 billion bushels. Weekly export sales are forecast around 500 to 700 thousand MT. The USDA announced the sale of 150,000 MT of HRW wheat to "unknown" today. 30/03/11 -- May London wheat closed GBP1.35/tonne lower at GBP199.00/tonne with new crop Nov up GBP0.75 to GBP162.50/tonne. May Paris wheat fell EUR4.00/tonne to EUR236.50/tonne whilst Nov was up EUR1.50/tonne to EUR206.50/tonne. The market is largely treading water ahead of tomorrow's USDA planting intentions and stocks data. A dry March means that EU farmers are well ahead with fieldwork, although crops in northern areas could do with a drink. The next 24 hours offer a good chance of rain for many of these regions, with further possibilities again at the weekend. In Germany, spring barley plantings are expected to fall 4.4% according to the association of German farming cooperatives (DRV) as growers there switch to less risky options after large portions of last year's output were downgraded to feed quality following heavy rains late in the season. Unlike the UK, France and Germany, Spain and Italy have had plenty of rain in March, which has hindered spring plantings although growers there accept that, for them, this is a good problem to have. Showers in the coming days will support North African wheat development, which is currently at the crucial heading stage. Moisture conditions are said to be adequate in most areas. The US agricultural attaché forecasts wheat production in the world's largest buyer, Egypt, reaching 7.9 MMT this year, up 10% from 7.2 MMT last year. The US agricultural attaché in Russia forecasts wheat production there rising to 52.5 MMT this year, a 27% increase on 2010 on a higher harvested area and better yields. Ukraine have announced that they will extend the existing grain export quota system, due to expire tomorrow, to the end of June. 30/03/11 -- Latest guide prices for EU rapemeal. 30/03/11 -- The grain markets are boringly flat, with the overnight Globex beans up 2-4c, corn up 1-3c and wheat down 4-6c. Soybeans are gaining a little on ideas that tomorrow's USDA acreage report will show corn stealing planted area away from beans. European grains are similarly flat. Crude oil is around half a dollar lower, with Brent at USD114.78/barrel and NYMEX WTI at USD104.25/barrel. Metals are a bit firmer and the dollar is flat. The USDA are seen increasing the 2011 corn planted area by around 4.5 million acres from last year to around 91.7 million - the second highest since the war. Soybean plantings are seen declining by only around half a million of that 4.5 million corn increase. All wheat acres are seen up a around 0.7 million to 57.3 million. You will note that this gives us around 4.7 million acres more given over to this trilogy for the 2011 harvest. Personally I wouldn't be surprised to see the soybean area unchanged or even slightly higher than 2010's 77.4 million acres. If so, it would seem that corn acres would have to come in lower than the current average trade guess. Where are a combined extra 4.7 million acres of beans, corn and wheat going to come from is another interesting question. In the case of wheat planted acres and harvested ares are two very different things, this season will almost certainly see higher rates of abandonment than normal. So some of these extra acres could come from unharvested wheat, some may come from "fringe" crops like sorghum, but can they find more than four and a half million of them? 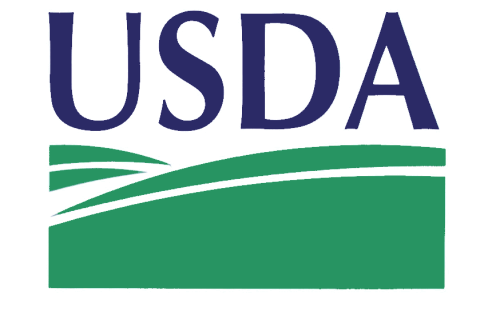 Hey, this is the USDA, anything is possible. On other matters, China sold 475,000 MT of the 4.5 MMT of wheat on offer at this week's government auction. The Russian Ag Ministry say that winter grains are in good condition and that spring plantings are now underway at almost double last year's pace. The UK, France and Germany get a decent shot at some rain today/tomorrow and again over the weekend, according to the BBC's website. The USDA have just confirmed 150,000 MT of HRW wheat sold to "unknown" for 2011/12. 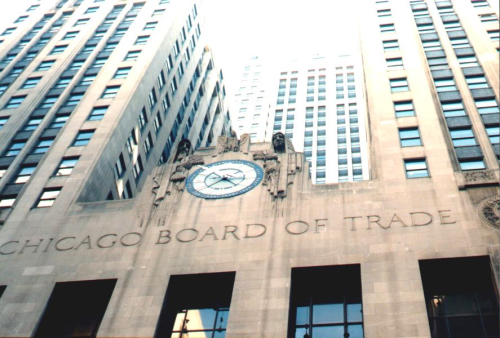 Early calls for this afternoon's CBOT session: corn up 1-2c, beans up 2-4c, wheat down 3-5c. 30/03/11 -- The markets remain pretty flat ahead of tomorrow's much awaited USDA reports. Will they provide us with any pearls of wisdom and some market direction? Will they come out with a shock? It certainly wouldn't be the first time, so the trade continues to sit and wait, rather than lift one leg today and get the other kicked from underneath it tomorrow. The overnight markets aren't doing much, and Paris grains have opened a bit firmer with may London wheat opening GBP0.35/tonne lower. There seems to be a growing difference of opinion on Brazil's soybean crop. The popular news wires keep reporting heavy rains, yield losses and harvest delays potentially cutting production below 70 MMT, yet some analysts like Agroconsult are increasing their crop estimates. The latter came out with a figure of 72.7 MMT yesterday, which coincides with reports from my man in RGdS that the crop there "is big and biggering!" Ukraine have said today that they will extend the existing grain export quota system due to expire tomorrow until June 30th, adding a further 2 MMT of corn to the volume available for export. As well as tomorrow's planting intentions and quarterly stocks report we will also get the regular Thursday weekly export sales numbers. The trade will be scrutinising the corn numbers for evidence of the "C" word. 30/03/11 -- Domino's Q1 2011 sales are up 11.2%, according to figures out this morning. We aren't dining out in these recessionary times, but we can't be bothered to actually cook anything either, things haven't got that bad yet. Lets have a large pizza and throw a few dipper/stripper/nuggets at the kids dahling is the order of the day it would seem. Chuck us in two litres of Coke as well will ya mate, yeah the full fat stuff, we don't want none of that diet malarkey. Do you do Vienettas as well, I've heard that there's a shortage of them. 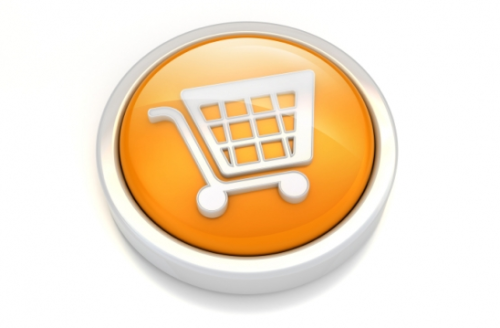 Don't panic I haven't forgotten that there's an interesting e-commerce factlet d'jour attached to all this, I'm just going off on a tangent like normal. Right then, are you sitting comfortably, well sated with a stuffed crust spicy hot one deep inside you? Here we go...what percentage of Domino's GBP132.3 million Q1 UK sales were ordered online do you reckon? Ten percent? Twenty at a push I'd have said. No matey boy peeps, the answer is nearly forty percent. Not only can't we be bothered to cook anything, we can't find the energy within ourselves to reach for the phone and talk to somebody either. That's a much higher percentage than I'd have guessed. Also of interest is that Q1 online sales in 2010 were under 30% of total revenue. So not only is a huge slice of Domino's pizza now bought online, the size of that slice is growing rapidly. How long before that starts to happen in the feed trade? A deep pan red hot special, a digital camera, Lady Gaga's latest album and 20 tonnes of 18% dairy nuts. Submit. Now I'm not suggesting that Amazon are going to start selling feed just yet, but the notion of buying lots your stuff online is certainly becoming the norm these days. Especially when the lad away at agricultural college returns to the fold and Dad starts to hand over the reins a bit. feedBay. The compounders reading this will be thinking "I'm not putting my prices online for every bugger to see" but they may start to change their minds when the competition are on there and they aren't. Especially if it's cash upfront with the order, which is a damn sight better than waiting 90 days to get your cash in isn't it? 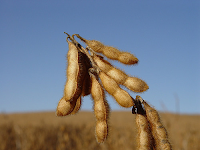 29/03/11 -- Soybeans: May 11 soybeans closed at USD13.61 1/2, up 13 cents; May 11 soybean meal closed at USD358.60, up USD5.00; May 11 soybean oil closed at 57.02, up 49 points. The market cannot currently see beyond Thursday's planting intentions and quarterly stocks reports from the USDA. Maybe we have become so used to getting thrown a curved ball from them that there is no use trying to plan beyond that. Corn: May 11 corn closed at USD6.71 3/4, up 3/4 cent; Dec 11 Corn closed at USD6.00 1/4, up 3 1/4 cents. 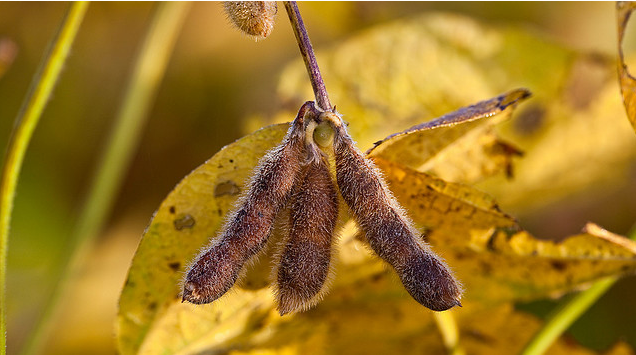 As with soybeans traders are largely sitting on their hands ahead of Thursday's USDA numbers, meaning that tomorrow is likely to be as unexciting as today. There seems to be a concern that old crop stocks will be higher than the current trade estimate of 6.7 billion bushels. Plantings are expected to be the second largest since WW2. Wheat: May 11 CBOT wheat closed at USD7.37 1/4, up 12 cents; May 11 KCBT wheat closed at USD8.67, up 18 1/2 cents; May 11 MGEX wheat closed at USD8.88 1/4, up 13 1/4 cents. 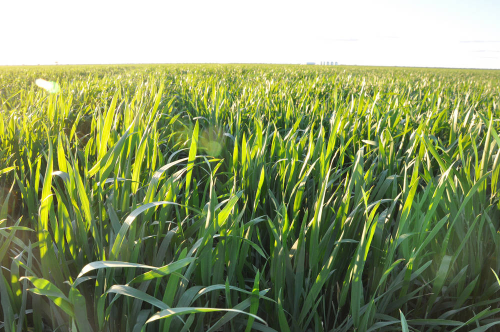 Poor crop conditions for US winter wheat are a major concern, with high levels of abandonment on the cards. "Topsoil moisture is 88-91% short or very short in Western Kansas and 38% statewide. Wheat jointing increased to 13% in Kansas, a key period of development demanding heavy rain," said Martell Crop Projections. 29/03/11 -- EU grains closed with May London wheat down GBP0.15/tonne to GBP200.35/tonne and with new crop Nov falling GBP1.25 to GBP161.75/tonne. May Paris wheat was EUR1.75/tonne lower to EUR240.50/tonne and Nov declined EUR4.25/tonne to EUR205.00/tonne. It seems like today was consolidation ahead of Thursday's USDA reports. The May/Nov Paris wheat spread ended the day at EUR35.50/tonne, more than double the differential of just a fortnight ago, reflecting old crop tightness and robust demand. The Farmers' Weekly are reporting that March looks set to be one of the driest on record, with England and Wales getting just a fifth of their normal rainfall. Dryness concerns in northern Europe may be alleviated in the next couple of days if the forecast rains arrive. 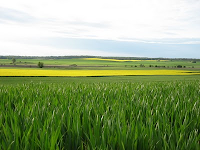 "European warmth has stimulated growth in rapeseed and winter wheat, although drought is still a worry in northern crop areas where it has been very dry for the past 60-70 days. The current wet forecast, if verified, would be ideal," say Martell Crop Projections. Winter wheat on the US Great Plains is suffering from drought, although some moisture relief is on the way for Colorado and Kansas, Oklahoma and Texas remain under severe stress. In the Texas High Plains they've only had 0.31 in of rainfall so far this year, the HRW wheat crop here is rated 0% excellent, 11% good, 27% fair, 30% poor and 32% very poor. 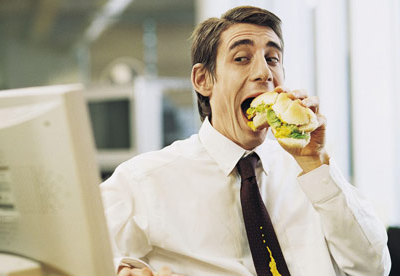 29/03/11 -- If every man, woman and child in China decided to eat nothing but KFC family meals for the rest of their lives then the world would run out of Wall's Vienettas by Thursday. So they'd probably just offer them an extra portion of BBQ beans instead, 'cos nobody ever orders them do they? They've got enough BBQ beans to last until 2050, so that's OK. As Jim Bowen would say "don't worry about your BBQ beans, they're safe." Mind you IF every man, woman and child in China ate a portion of KFC BBQ beans every day until 2050 what would that do to the ozone layer? Scary. Tomorrow, in part two of this fascinating series: What would happen if the entire population of China played hopscotch all at the same time. 29/03/11 -- The overnight grains were mixed, but mostly a little higher in quiet trade whilst the market treads water waiting for Thursday's USDA reports. Beans finished the Globex session mostly around 3-5c higher, with wheat up 3-4c and corn down 1/2c to up 3c. Right now all we have to go on is trade guesses for Thursday. For corn most of those centre around 91-92 million acres, with the average guess at just under the 92 million mark - the second largest planted area since WWII. Last season was 88.2 million, but just about every newswire you read reports of an increase of this kind of magnitude being "essential" to replenish dwindling US stocks. Essential, so long as the blenders tax credit remains in place past the end of the year that is. Some of those acres may get "stolen" from soybeans, of which US farmers planted 77.4 million acres last year, according to some. Others think that soybean planted area will also increase this year. That gives us a fairly wide range of trade estimates ranging from 75.3 million to 78.5 million acres, with the average guess just under 77 million. All wheat acres are less contentious, as most of the crop is already in the ground, pegged at 57.3 million. Thursday also brings the quarterly stocks report, although trade guesstimates on these are in a much tighter range, with corn estimated at 6.7 billion bu, beans at 1.3 billion and wheat at 1.4 billion. Aside from that we have crude oil weaker as Libyan rebels seem to be gaining the upper hand, not without considerable outside assistance it has to be said. The dollar is also a bit firmer, which is slightly negative for grains. We also of course have the unconfirmed "China bought stacks more US corn over the weekend" stories to contend with. Early calls for this afternoon's CBOT session don't show a lot of change: beans up 3-5c, corn flat to up 2c and wheat 3-4c higher. 29/03/11 -- Another German biodiesel producing plant is to close I see. 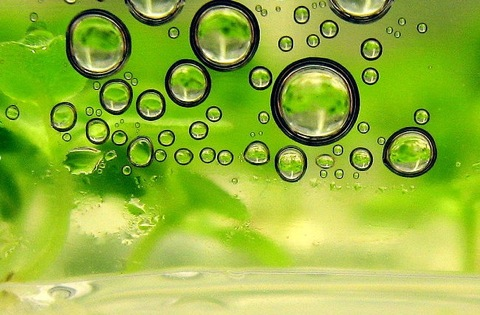 Glencore-owned Biopetrol Industries AG says it is to halt production at it's facility at Schwarzheide in central Germany citing "overcapacity, pressure on margins and low utilization rates." The plant apparently had an annual capacity of around 150,000 MT of biodiesel per annum. The company's website is today reporting a net loss of "KEUR 73,009" for 2010. KEUR? Does that mean 73 million euros then? That's quite a lot isn't it? Remind me again who's bright idea this all was. 29/03/11 -- I've only just consigned the buggers to the loft along with the Christmas decorations and now I've got to climb up there with the spiders and drag the wretched things out again. May London wheat currently trades GBP1.00/tonne higher at GBP201.50/tonne, with July up GBP2.50/tonne to GBP203.00/tonne. New crop Nov is unchanged at GBP163.00/tonne. Back from the morning constitutional with Nogger's Dog in very light rain and 3C, quite different to last week. Heavier rain in the forecast tonight/tomorrow. The Farmers' Weekly I see are reporting that March looks set to be one of the driest on record, with England and Wales getting just a fifth of their normal rainfall. See this: March to be among driest on record. It's far from a disaster yet though. On the continent French crops seem to have emerged from winter in pretty good shape, although there are winterkill concerns in Germany and Poland. Tight old crop stocks and strong demand keeps widening the gap between Paris old and new crop, with the May/Nov spread currently standing at EUR37.00/tonne mid-morning, a fortnight ago it was EUR17.00/tonne. Q: Dear Nogger, I keep waking up in cold sweats with these totally off-the-wall and irrational nightmares that everybody in the feed trade hates me, what can I do? A: These dreams are neither off-the-wall or irrational Paul. 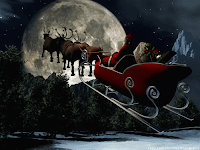 Night, night. 28/03/11 -- Soybeans: May 11 soybeans closed at USD13.48 1/2, down 9 3/4 cents; May 11 soybean meal closed at USD353.60, down USD3.60; May 11 soybean oil closed at 56.53, down 31 points. Early gains gave way to profit-taking and book squaring ahead of Thursday's all important acreage report. Outside markets were also negative with the US dollar firmer and crude oil weaker. Despite all the rain the Brazilian harvest is ahead of the five year average pace at 56% done. Safras & Mercado pegged the crop there at 71.5 MMT on Friday, well above other private estimates. 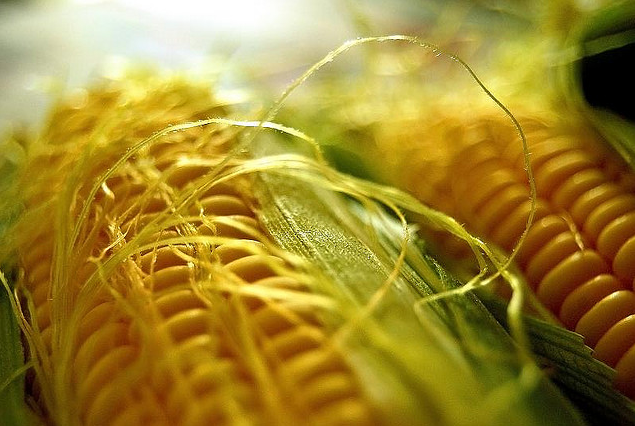 Corn: May corn fell 18 1/2c to USD6.71, whilst Dec corn tumbled 12 1/2c to USD5.97. The so called "battle for acres" is expected to see a substantial rise in US corn plantings this spring. That will be reported by the USDA on Thursday. After widespread reports of significant Chinese buying of US corn of late nothing concrete has been actually confirmed. Friday's sale of 1.25 MMT of old crop corn to "unknown" was widely touted to have been followed up today by "further announcements" that never happened. Wheat: CBOT May wheat fell 8c to USD7.25 1/4 a bushel, KCBT May lost 6 1/2c to USD8.48 1/2 and MGEX May dropped 6c to USD8.75. Whilst US winter wheat conditions are pretty poor they have improved somewhat of late. The Kansas Agricultural Statistics March 28 Crop Progress report shows 31% of the crop rated good/excellent and 35% rated poor/very poor, which is up from 26% and 40% respectively a week ago. Jointing is rated at 13%, ahead of last week's 5%, and bang on the five-year average. 28/03/11 -- May London wheat closed GBP3.25/tonne firmer at GBP200.50/tonne with new crop Nov up GBP3.00 also to GBP200.50/tonne. May Paris wheat rose EUR5.50/tonne to EUR242.25/tonne and Nov was up EUR2.25/tonne to EUR209.25/tonne. The pound fell to it's lowest levels against the US dollar for two months, and to a five month low versus the euro on ideas that a stalling UK recovery will put any thoughts of an interest rate rise on hold. 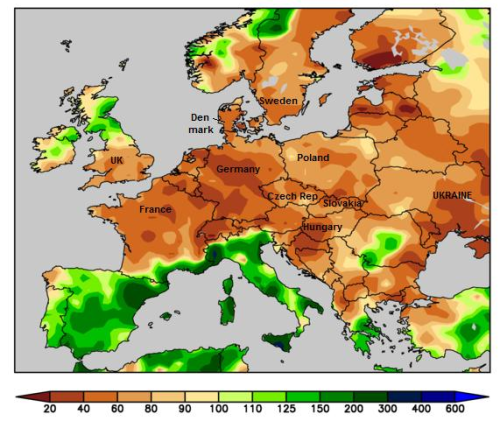 Almost all of Europe has had a very dry last two months compared with normal, click the map from the excellent Martell Crop Projections to enlarge it, with all but Italy, Spain, Portugal, Scotland and Ireland getting only between 20-60% of normal precipitation. Rains are in the forecast for many of the areas in moisture deficit later in the week, which will hopefully improve the situation, although normal soil moisture profiles are unlikely to be fully restored. Coceral peg the EU-27 soft wheat crop at 131.44 MMT, an increase of 3.5% on last year. The UK is seen accounting for 15.5 MMT of that, a 7.6% increase on 2010, with France and Germany chipping in with 36.4 MMT (+ 2%) and 24.4 MT (+4.7%) respectively. Barley production is forecast at 54.5 MMT, up 3.1%, with the UK crop coming in at 5.3 MMT, up 6.3% on 5.0 MMT last year. Whilst European weather is of some concern, the situation for US wheat looks far worse where "the big picture is one of severe drought in the Southwest Plains with too much heat and not enough rain," say Martell Crop Projections. 28/03/11 -- The overnight grains closed mostly firmer with beans up 6-8c, and with corn & wheat around 2-4c higher. Fresh news is limited. Libyan rebels have made inroads into Gaddafi held territory over the weekend, aided by NATO, and are now advancing on his hometown of Sirte. Rebels have also announced that they've done a deal wit Qatar to market crude oil from fields under their control in the east. Crude oil is more than a dollar lower on the back of these developments. A firmer US dollar looks like hindering upside potential today. The market is waiting for direction from Thursday's planting intentions report. Traders are also watching out for any potential further announcements of US corn sales this afternoon, which are being widely touted. Some limited moisture relief is on the cards for Eastern Kansas later in the week, but the trade is conscious of significant abandonment potential in the state. Ditto Oklahoma and Texas. At least some net drying is on the cards for drowned out spring wheat states to the north. Safras & Mercado came out with a Brazilian soybean production estimate of 71.5 MMT on Friday, they said that yield losses in Mato Grosso would at least be partially compensated for by bumper crops further south. That corroborates independent reports from "my man in Brazil." 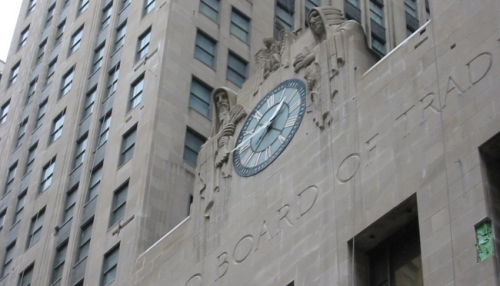 Early calls for this afternoon's CBOT session, ahead of any possible announcements from the USDA on corn sales: corn up 1-2c, soybeans up 6-8c and wheat 2-3c higher. 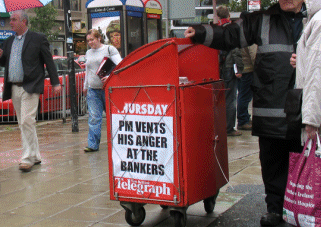 28/03/11 -- Engineering and construction workers locked out of the under-construction Vivergo bioethanol plant at Saltend will protest in Hull City Centre today, according to this report. Better nip out and get the butties in early this lunchtime then Milty? 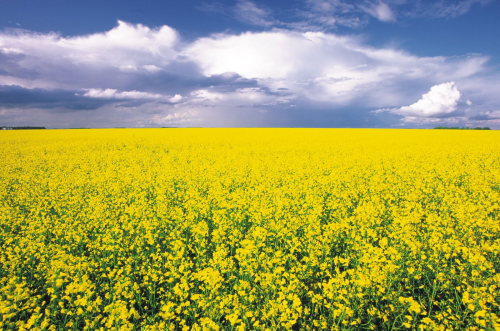 28/03/11 -- A 9.2% jump in plantings to 696,000 ha will see the UK harvest a record 2.325 MMT of rapeseed this year, according to Coceral. The area estimate is very much in line with that of Defra, although they haven't put an figure on production yet. Coceral are using a yield estimate of 3.34 MT/ha, 3% lower than last season's 3.45 MT/ha, if we were to match last season's yield then we'd potentially be looking at a crop of 2.4 MMT. 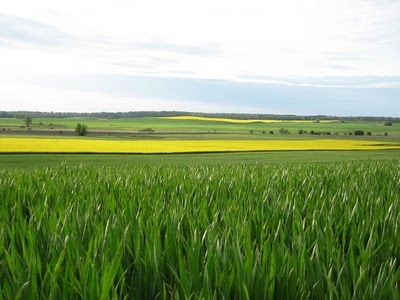 Coceral see the overall EU-27 rapeseed crop broadly unchanged on last year at 20.2 MMT, with output in France at 4.97 MMT (up 6.7% on 4.77 MMT last year), Germany at 5.15 MMT (down 10% on 5.75 MMT last year) and that of Poland at 2.18 MMT (up 3.8% on 2.11 MMT last year). 28/03/11 -- Once again new news is thin on the ground so far this morning. We still don't know if it was China, Japan or even anyone else who bought US corn on Friday. There are also reports around that another announcement on corn sales will be made when America wakes up later today. With the clocks here having gone forwards an hour over the weekend, everything is "back to normal" with regards Chicago opening times, with a 15.30 BST start and a 19.15 BST end to the daytime trading session with the Globex market open from midnight to 13.15 BST. The UK, northern France and Germany look like they are in for a decent and welcome soaking Wednesday, according to the BBC 7-day forecast yesterday. My part of North Yorkshire has received no measurable rain for the last eleven days. In the US there is a chance of some net drying in the soggy Corn Belt and Northern Plains and some rain for parched Eastern Kansas, Oklahoma and Texas, say QT Weather. 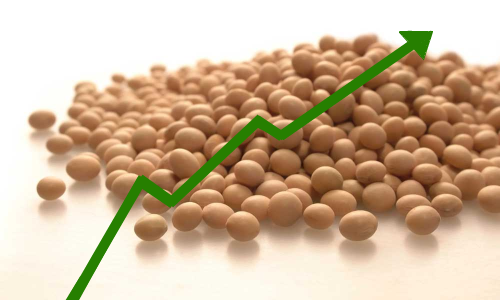 Brazilian analysts Safras & Mercado peg the soybean crop there at a record 71.5 MMT, somewhat higher than many recent estimates. The trade remains focused on Thursday's USDA planting intentions and quarterly stocks report.